Junior Police Command Course 9 ended with the course’s valedictorian, Superintendent Doris Hukporti, assuring the IGP and the entire Ghanaian citizenry that, officers will uphold and protect the human rights of all citizens and also engage the community to fight crime. “Junior Command Course 9, would like to assure the Police Administration of our preparedness to lift our performance level and make a change in our jurisdictions”, Superintendent Hukporti added. In her valediction message, she on behalf of her colleges, thanked the Inspector General of Police and the Police Administration for the opportunity offered them to build their capacity in Policing Management. 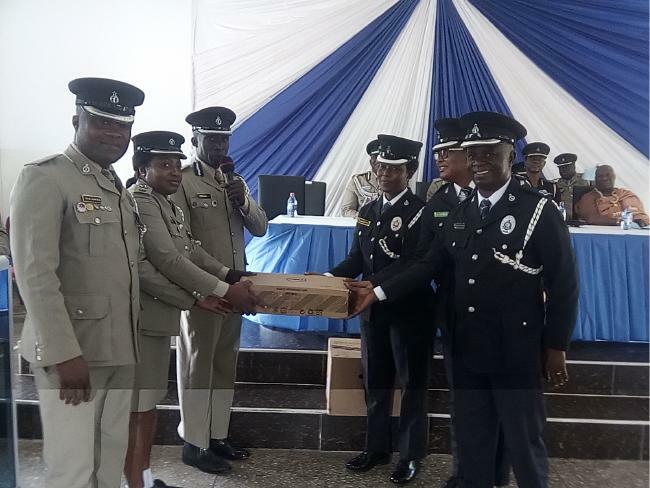 The Commissioner of Police (COP) Charles Tokor Commandant of the Ghana Police Command and Staff College, Winneba, has commended Police Junior Command Course successfully completing course to build their capacity in Police management. 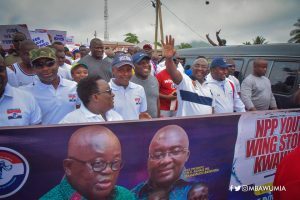 The post We will uphold and protect the human rights of all citizen – Superintendent Hukporti appeared first on Ghana Business News.